Tell us very specifically what thinset mortar was used to set the tiles, name brand, make and model, and what size tiles were installed. 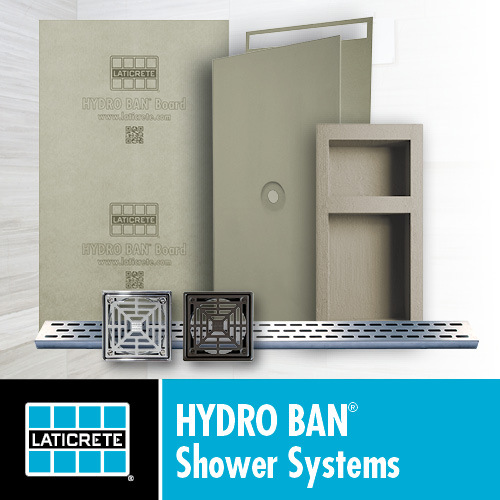 The industry standard requirement for thinset mortar coverage in wet areas (your shower) is a minimum of 95 percent coverage on the back of each tile. It matters not at all how that is achieved, mortar on the wall, mortar on the tile backs, mortar on both, but seeing orange in the grout joints might be an indication that this was not achieved. the membrane itself is waterproof. the issue with not putting thinset on fully is that the tiles may fall off. Thank you CX for your information. Tiles are 4X16. I asked him and he said he used “mapei modified tile thinset” , when I further questioned him today he said he did not use any thinset over the schluter membrane for purpose of setting the tile ( he did use it to apply the membrane to the drywall and overlap edges; curb, etc), he said he only used it to Butter the backs of the tiles, he said he pressed it onto the membrane, to sort of squish it in. He also did the same technique on the ceiling, but all the tiles look like they are stuck pretty good to both walls and ceilings, none have fallen off nor does it look like they have moved or slide down or anything. I do not see any of the orange membrane behind the tiny accent tiles, it seems pretty loaded with thinset. But really it is Almost every tile joint tops & sides I see orange. At this stage I can only hope he put enough thinset behind the membrane to attach it to the drywall. I have prayed that this shower will not have a major leak. This is a excellent website, I am not a handy kind of woman, I do not know construction stuff and not liking learning about it, but this site really has so much helpful information. Thank-you. Thank you Mike for your reply. I’m not real clear on the spot/blob method but it sounds like where you plop some thinset on the wall and press the tile into sort of idea? I did ask him today and he told me that he did not apply thinset to set the tiles but that he buttered the backs of the tiles then pressed them onto the membrane to kind of make it squish. But I see orange membrane on almost every tile joint, both the sides and the tops & bottoms,. Crossing my fingers this won’t be a major leak down the road. The tiles used were 4X16 and he used modified mapei thinset. Tiles have cured for about 2 weeks so far Already and it will be at least another 2 weeks before I will have it all grouted. I will make sure he does silicone all the edges along where one wall meets another and the edges of the ceilings. Thanks again. This is an amazing site - so much very helpful suggestions, tips and advise. Try tapping on various tiles in various places around each tile. Does it all sound solid and uniform or do you hear changes in the sound indicating areas that are hollow vs areas that have thinset. A hollow backed tile has a fairly distinct sound. This would immediately be a potential red flag that spot bonding or inadequate thinset coverage was applied. If you’re checking for hollow tile, use the tip of a screwdriver or something else metal to tap around with. Ask him again, Jody. MAPEI makes many modified thinset mortars and you want him to tell you exactly which one he used. You have already waited much longer than you needed for tiles that size to be grouted. The danger with the lack of proper mortar coverage on the back of your tiles is not so much a concern that they will fall off the wall, but in wet areas you can have other problems with installations having insufficient mortar between tiles and substrate. Last edited by Davy; 04-16-2019 at 07:03 PM. I've back buttered tiles for 40+ years, I would stop worrying and let him do his job. There is nothing wrong with back notching the tile (as I call it), I do it all the time. I think Jody is concerned that maybe the installer didn't key the mortar into the Kerdi membrane. While this is not ideal, I don't think it's the end of the world either. I agree with Greg. Not ideal, but not a do-over either.